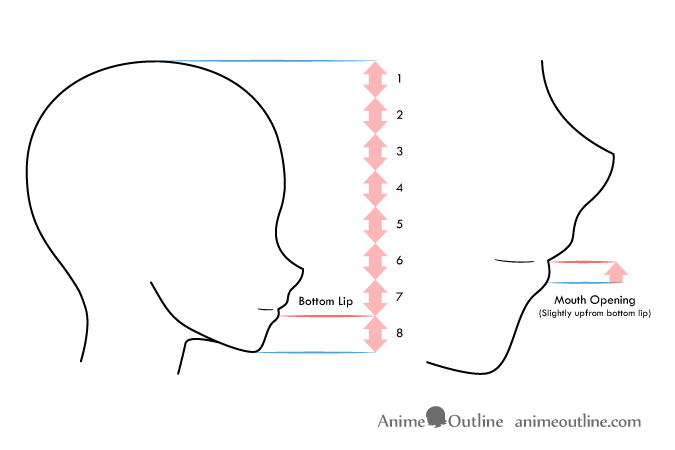 To vertically place an anime mouth on the head in the side view you can start by placing the bottom lip about 1/8 of the total height of the head up from the chin. The mouth will be slightly above that. 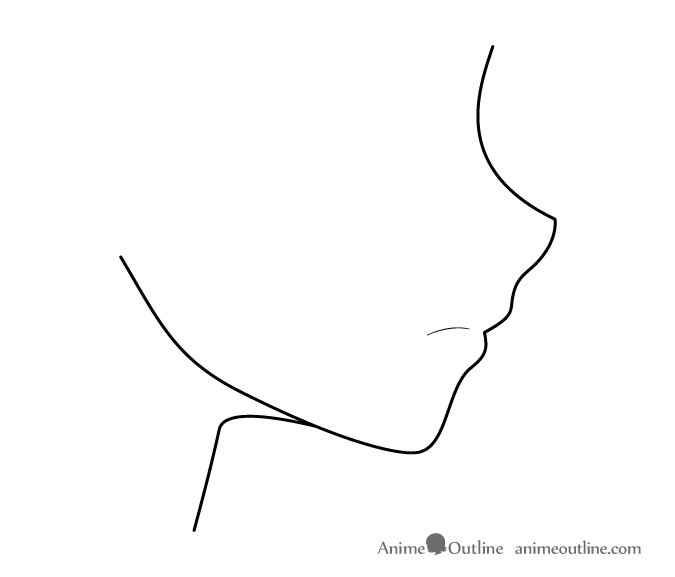 To draw anime lips form the side view you can first draw a line from the tip of the nose to the curve of the chin. 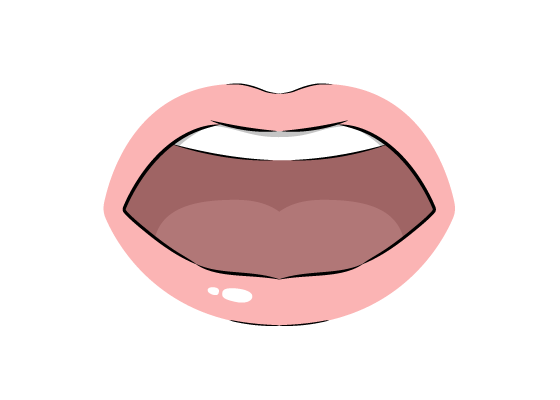 You can then use this line to horizontally position the lips. 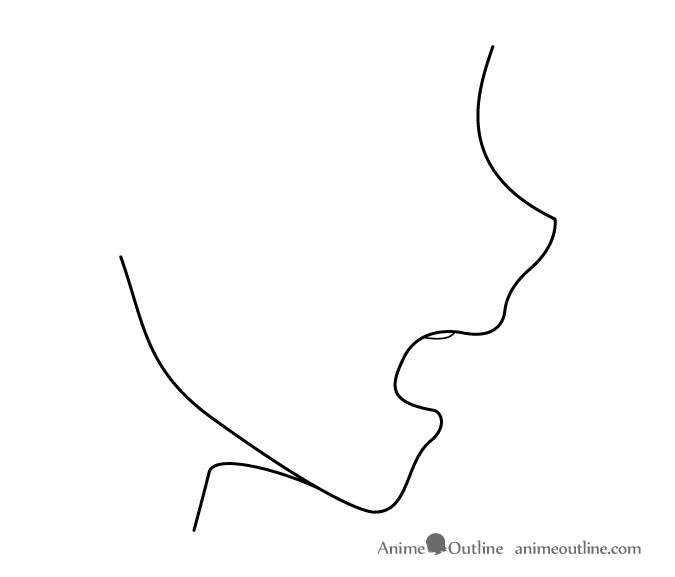 When drawing a mouth in any style it’s important to understand how the jaw opens. The jaw does not simply lower down like an elevator but instead swings down more like a door swings on it’s hinges but unlike a door it also moves slightly forward. Excluding the lips the top part of the mouth does not move. 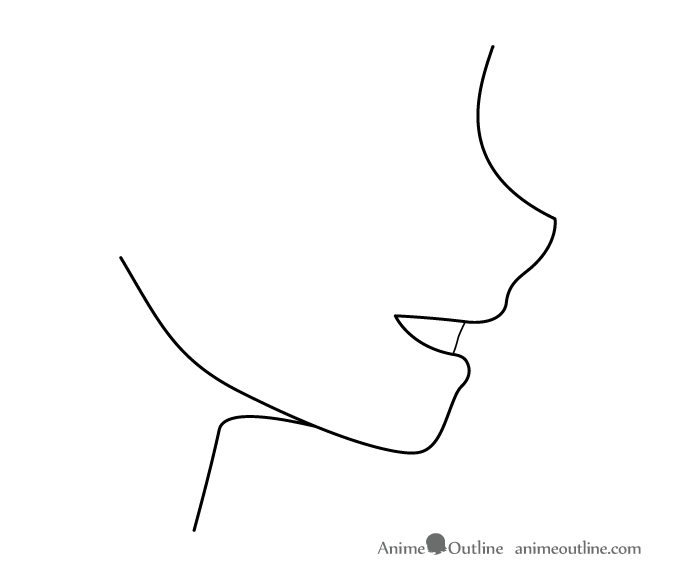 For a normal side view anime mouth (closed) you can simply draw it with one very slightly curved line. 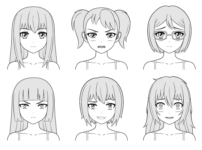 For an open side view anime mouth draw the bottom jaw lower down.top row of teeth. 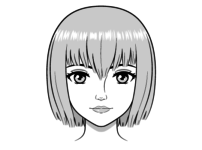 Draw the mouth itself with a smooth curve and afterwards draw a hint of the top row of teeth. 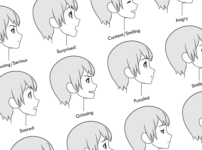 For a wide open anime mouth draw the jaw further down than a regular open mouth. 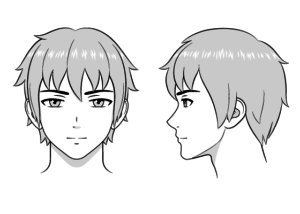 Draw slightly less of the teeth showing than in a lightly open mouth as well. The reason for this is that the lips will be pulled down more when the mouth is open wider therefore covering the teeth more. 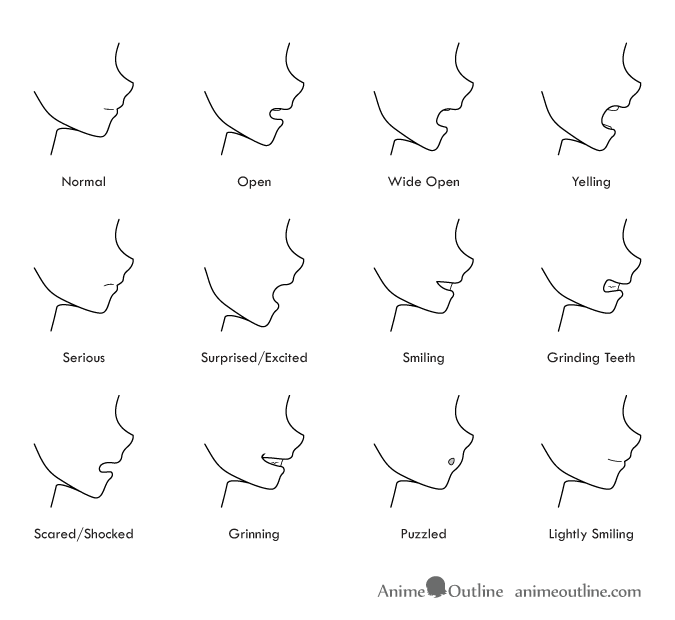 For a yelling anime mouth draw it the same as an open a anime mouth but draw the lips further pulled back revealing more of the teeth (lips get pulled back when people yell). 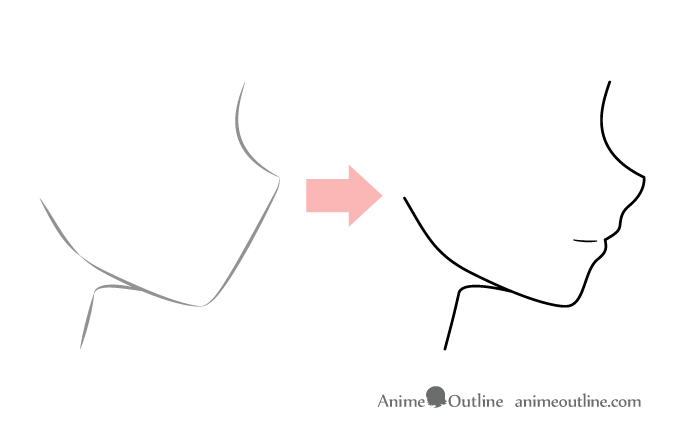 For an unhappy or frowning anime mouth simply draw it as a downwards curve. 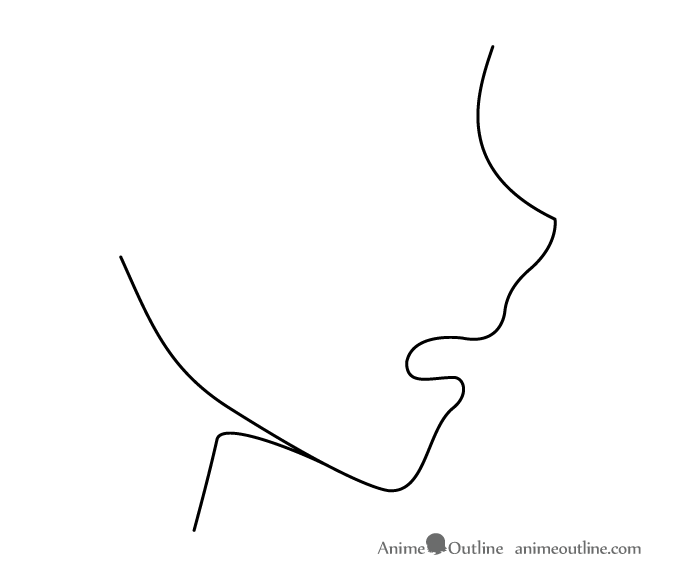 For a surprised anime mouth draw it similar to a wide open mouth but draw the lips further inwards as the mouth will be making an “O” shape. For a smiling anime mouth draw it with a sharp corner of the mouth showing the teeth. 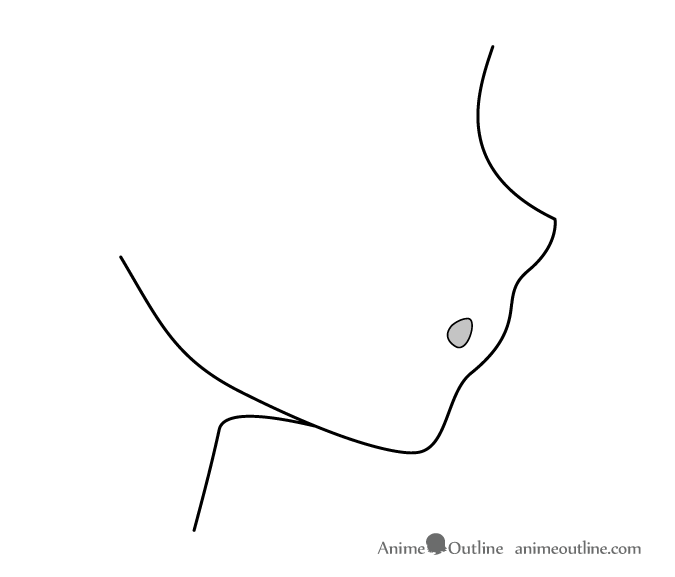 For a scared anime mouth draw it similar to an open anime mouth but angled downwards. for a grinning anime mouth draw it similar to a smiling anime mouth but draw a wrinkle at the corner of the mouth and draw a hint of the parting line between the top and bottom rows of teeth. For a puzzled anime mouth draw the lips as one curved shape and draw the mouth with a shape that somewhat resembles a warped “O” expanding outwards. 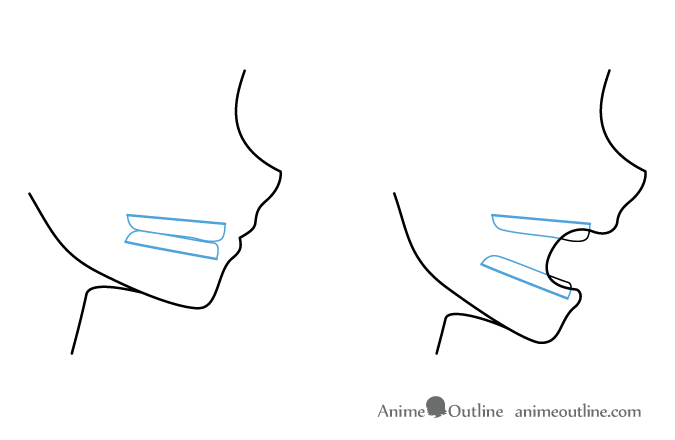 For a lightly smiling anime mouth draw it close to a normal anime mouth but slightly longer and more curved. 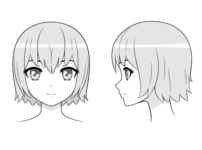 This tutorial provides some side view examples of anime and manga style mouths in some of the more common states and expressions. 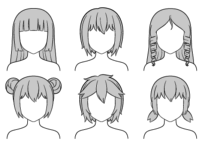 But these examples can also apply to drawing mouths in other styles.